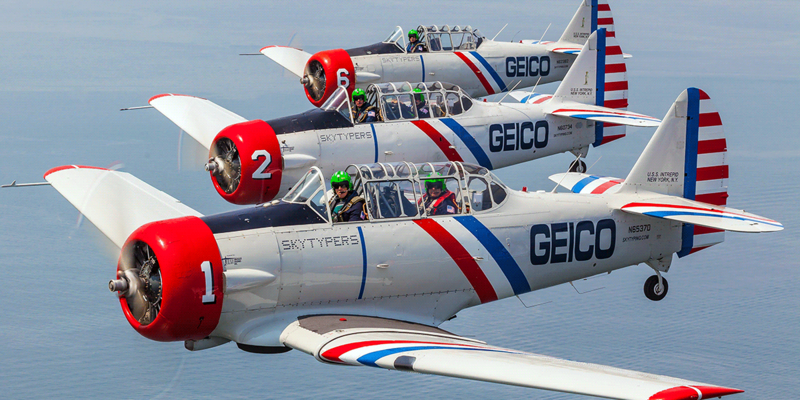 The Skytypers perform a low-level, precision flying demonstration that has thrilled spectators all over the United States. The aircraft fill the skies in front of the audience as the team performs their 18-minute demonstration. Through expert energy management and steady hands, the pilots extract every ounce of performance possible from the wonderful WWII antique aircraft.